I bought the first part for this model several years ago – a set of Koni GP rear shocks! These were mounted straight up and down (forward on the swing arm) which is the main difference on the second year of the Desert Phantom. The bike came along through Dave Carl (a friend of his had it), but it was rough and rusty. When I got it apart, the frame was bent and the rod was on its way out the front of the cases – they are on display in the museum! So I couldn’t use much from this carcass. I finally got a bike I could work with from Bob Hogan in Agawam Mass. – it was sitting out back of his shop! He wanted more than I could pay initially, but we eventually came together. This Desert also came with lights, no speedometer. 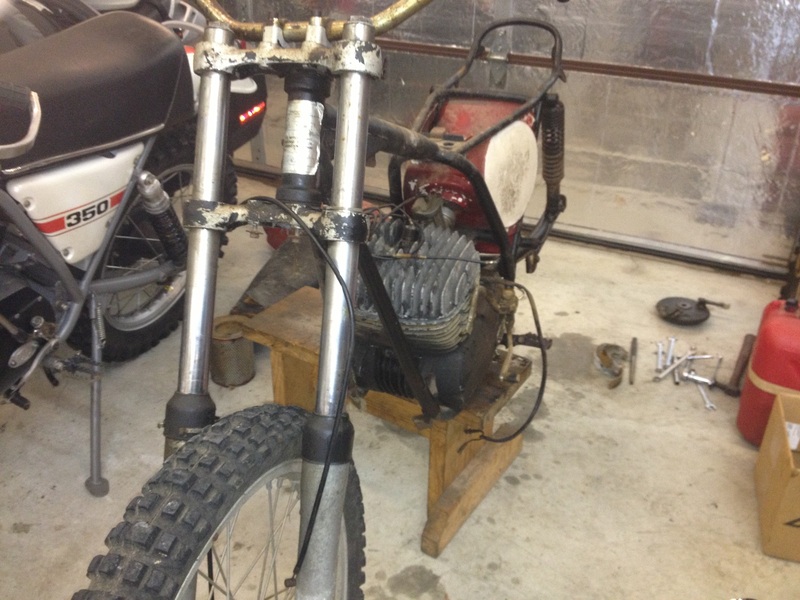 It’s a great looking OSSA – motor rebuild coming soon!